What can you choose to live beyond the insanity of this reality? Learn about this and more in this December 2018 Telecall from the Creative Edge of Consciousness! 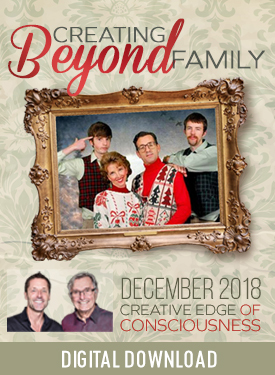 Welcome to Creating Beyond Family Dec-18 Telecall! What if you could always be in the space of not being wrong for all eternity? If you are looking for the rightness of you, you have to judge you. What would it be like to be strong with your family during this time of year? The greatest way to hide our strength is to go into wrongness of ourselves. That's where we give up our joy and our capacities.